Whether by design or evolution, it seems it is the responsibility of the child to grow and learn, of the young adult to create, build or raise new young, and of the old adult to apply their wisdom to ensure the survival of the group. The pursuit of happiness for its own sake does not fit into the plan. Happiness will come from properly growing and learning, from creating and building that which is best for the group, and from doing what one can to ensure we don’t get totally obliterated. Let’s ensure that the old can continue to contribute to the survival of everyone by never marginalizing them or underestimating their worth. And in return, the old have to understand that they have a responsibility to ensure that civilization continues, even if that just means giving the young adults a piece of their mind now and then. Perhaps thinking of reality divided up into what was, what is and what will be is nothing more than a convenient interpretation. If we admit of the possibility of existence, at the highest level, being outside the realm of time, space and energy, then its plain silly for us to reflect on how the past could have been different. If we are but a cause-and-effect organism (or mechanism), and we can move only forward along time, then it is even sillier. I believe existence is existence and there is no existence then, existence now and existence later — there is just existence. Don’t worry about the future. Prepare, when necessary, but don’t prepare for the future. Just prepare. Don’t try to fight memories or shrink from past events. The most harm comes from running away and resisting. Accept and celebrate. Don’t even worry about “staying in the present” or “enjoying the moment.” Just be there. It is possible “there” is past, present and future. Gustav Mahler’s sixth symphony was first performed in May 1906 by the composer. Interestingly, Mahler performed the movements in a different order (Allegro, Andante, Scherzo, Finale) than the order in the version published two months earlier. What apparently occurred was that Mahler, during rehearsals, decided that the symphony worked better if the second and third movements were swapped, placing the scherzo in its historically more traditional place after a slow second movement and before the last movement. 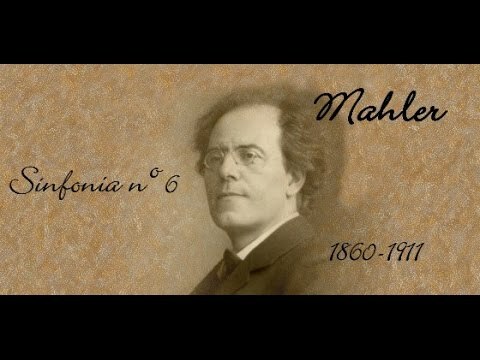 Mahler notified his publisher to put out a second edition with the new order of Allegro, Andante, Scherzo and Finale and to include errata additions to unsold copies of the first edition. Turns out we now know that Ratz had falsified evidence to support what probably was a personal conclusion based on his analysis of the score. The Scherzo shares thematic material with the first movement as well as tonal orientation. Analysis may support a view that Mahler wrote the piece to be performed in the order Ratz proposes, but composers certainly are allowed to make changes, as Mahler not only did to the order, but to the score itself, and Mahler, known for revising his published works, probably would have made further changes over time if he had lived longer. In 1998, the latest Critical Edition of the Sixth was released, with the Ratz error still in place, but then in 2004, The Kaplan Foundation published a paper including an essay by recording engineer Jerry Bruck and an essay by Reinhold Kubik, the new chief editor of the Mahler Critical Edition. overturning the Ratz order of Scherzo before Andante and refuting Ratz’s assertion. Thus with a few exceptions, all recordings between 1961 and around 2000 or so, have the Scherzo occurring before the Andante. One notable exception is the live January 1966 Berlin Philharmonic recording conducted by Sir John Barbirolli and the live August 16 1967 and the August 1967 studio recording performed by New Philharmonia Orchestra and also conducted by Sir John Barbirolli. Performing a complex work like Mahler’s Sixth demands serious study of the score. It is not a work that easily comes together into a comprehensible whole. For this work to sound like a single unified piece with an overall logic and message, it requires a major commitment by any conductor. Barbirolli was indeed very serious in his study of this work. Perhaps it was through such score analysis that led to Barbirolli’s decision to put the Scherzo after the Andante. Perhaps he realized that the Andante provided the necessary contrast, release of tension, and proper overall flow when coming between the opening movement and the scherzo. 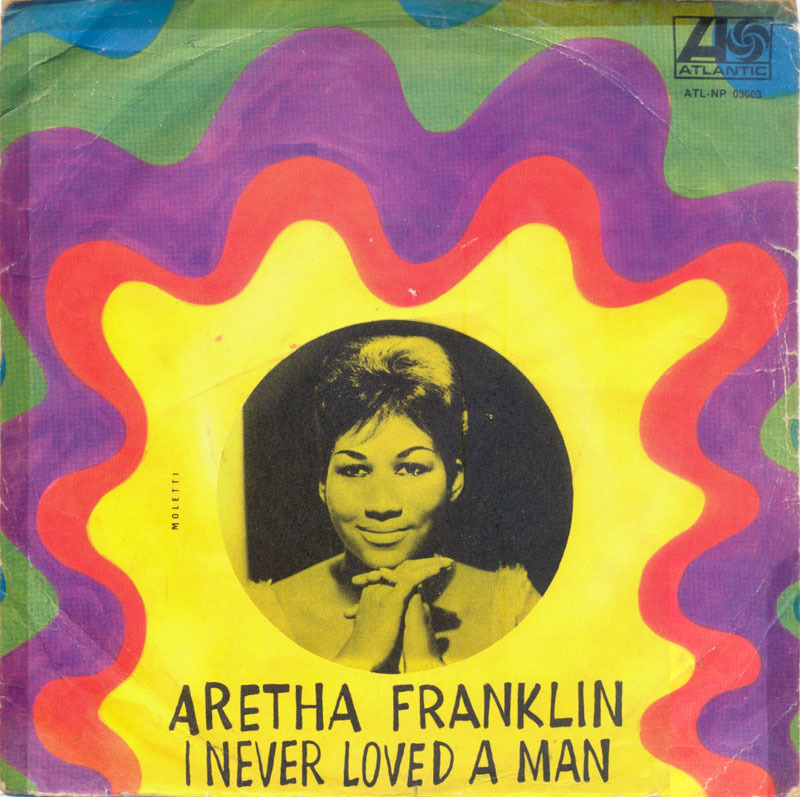 When these recordings where first issued, the two live version had the movements in the order they were performed, but for the August 1967 studio version, EMI reversed the order of the middle movements to place the Scherzo back earlier as was indicated in the erroneous critical edition. Reportedly, Barbirolli was more disappointed then angry at this, but thankfully, current CDs of this studio version have the Scherzo properly placed as the third movement as performed originally and consistently by both Mahler and Barbirolli. There are only a few recordings of the sixth undertaken before these three Barbirolli recordings in 1966 and 1967. Since 1967 there have been several dozen recordings, most of these occurring in the CD era. For those recordings made in the last forty years of the twentieth century where the Scherzo was performed before the Andante, one might just be tempted to program the CD to play these in the proper order, but this doesn’t quite work so well as each of these conductors crafted an overall performance architecture to work around an earlier placed Scherzo. In my opinion, switching the order, just makes these performances less logical and cohesive, not more. The 1967 live recording sound is not such a great recording sonically. The studio recording is much better. Even the earlier 1966 Berlin live performance is significantly better sounding than the 1967 live recording. The 1967 live recording is far from a flawless performance with some audible flubs by the orchestra. The orchestra sounds more engaged and more focused in the live recording. Some of this may be due to the faster tempo, but certainly playing live often brings out the best in concert hall performers. Unfortunately, both these recordings omit the repeat as noted in the score of the first movement, a common practice when recording long works during the LP era. This 1967 Live recording may suffer slightly in comparison to more recent recordings of Mahler’s Sixth, but historically, one has to love how Sir John Barbirolli not only took on what was then a vastly underappreciated work, but got so much right in performing this work. Recorded in February and Novemeber 1964 at two venues (with the orchestra changing its name from “Philharmonia” to “New Philharmonia” in between) and released in 1967 on a 2 LP set along with five songs from two different Mahler works (two songs from “Des Knaben Wunderhorn” and three of five songs from “Rückert-Lieder”) this was the best recording of Gustav Mahler’s “Das Lied Von Der Erde” found in college music libraries in the 1970s, where music majors like me often went to listen to such works as part of their music history studies. This recording captures the music with detail and beauty, presenting a relatively forward plane of sound such that solos are clear and both singers are placed in front and not lost amidst a large orchestra. It is a real joy to listen to on a good audio system with the clarinet, oboe and flute lines distinct and luminously clear throughout and the two soloists balanced so well against their orchestral accompaniment. There is no disputing the importance or quality of what many consider to be Mahler’s greatest work. Composed in 1908, it was written after 1) Mahler had suffered through the politics of hatred and antisemitism that forced him to resign as director of the Vienna Court Opera, after 2) Mahler learned that he had a fatal heart condition, probably a congenital defect that had claimed the lives of his little brother and later his mother, and, 3) worse than either of these for any parent, the loss of his five-year-old daughter, Maria to scarlet fever and diptheria. “With one stroke,” he wrote to his friend Bruno Walter, “I have lost everything I have gained in terms of who I thought I was, and have to learn my first steps again like a newborn”. but drink not yet; first I’ll sing you a song. Mahler’s “Song of the Earth” is a work one can repeatedly listen to, absorbing the sparkling, transitory joy, the moments of anguish, despair, and bleak, unshakable sorrow, and the spiritual sophistication and beauty of Mahler’s chromatically extended tonality. Of all the recordings out there, this 1967 classic recording by Klemperer, the Philharmonia Orchestra/New Philharmonia Orchestra, Christa Ludwig, and Fritz Wunderlich is a perfect place to start or return to, depending how many times you have listened to “Das Lied Von Der Erde.” Otto Klemperer was one of the few conductors who actually knew Gustav Mahler, heard Mahler conduct, and survived into the age of stereo to record him. Perhaps this is the closest to hearing how Mahler would have recorded this work. Thoughtful Thursday: What to observe? In order to interpret, evaluate and ultimately understand, one has to observe. However, there is so much out there to observe. It’s overwhelming. So we run into an apparent paradox: one must know, to some degree, what to observe, yet one cannot know without first observing, interpreting, recognizing, filtering, connecting, comparing, evaluating and have some level of realization. And so one cannot ever start from scratch. There will always be some initial observation from earlier or from others that one relies on in order to determine what next to observe. Observing then becomes a process of narrowing down and expanding what one observes. To be efficient this is not a random process, but one driven by the formulation of an objective. For example, “I need to eat” is an objective. With that objective one then observes — or collects data — in areas that will be more likely to provide the necessary input to increase one’s success at an action designed to obtain food for eating. If we are a retail chain, like Kohl’s, Macy’s or Sears, we must determine our objective. Is it to increase revenue, lower costs, or increase profit margin.? Or is it a less basic objective like increase in-store traffic or increase brand awareness which may be considered an objective in order to achieve the more specific objective of increased revenue through building customer loyalty? Having a hypothesis can help narrow down what to observe, but a hypothesis should not be formulated too early in the process or opportunities to achieve an objective can be missed. Instead it is best to look for patterns in the data, and then determine what is a likely hypothesis based on that data as opposed to starting with an hypothesis and thus missing the opportunity of identifying more likely hypotheses. For example, if my objective is to cross a river and I start with the hypothesis that one can cross the river on a structure that floats on water, I may miss out on noticing that 200 yards downstream someone has built a bridge, or the river becomes shallow enough to cross on foot, or that the river becomes an underground stream. So important to keep the objective in mind, identify what data can be collected (what can be observed), and not prematurely limit the data that one will analyze. With companies like JC Penney and Macy’s currently fighting against declining same- store sales, it seems like they missed out on observing several years ago how Amazon was increasing book sales and ultimately positioning itself to sell other items online — items that were also sold in shopping mall department stores. What were they observing? What was their hypothesis? There is a lot out there to observe. The first step is to clearly understand one’s objective and then focus on observing those things that will help achieve that objective. For music, if one wants to dance, observe (listen to) the beat — this means focus on the drums and the bass, If one wants wants to play along, focus on what the chord progressions are for the verse and chorus. If one wants to ignore the music, focus on something besides the music. Don’t worry about formulating an hypothesis until we has examined enough relevant data for that intended objective to see what are recurring patterns. Fortunately in the data analysis world there is software (Artificial Intelligence, Machine Learning) that can identify patterns in the data. Without software, one can take notes, reflect and follow the steps in my diagram below: observe a significant amount of data, recognize what are the patterns that appear relevant to your objective, filter out the irrelevant data to focus on that data that has the patterns of interest, evaluate that data, understand its nature and then form a plan of action to gather or observe more of that data as necessary. Eventually one can form a hypothesis and scrutinize that hypothesis each time one goes through the “comparison”, “evaluate” and “realize” steps to know if that hypothesis is correct or not. If that hypothesis is not appropriate, then one needs to formulate a better hypothesis that is aligned with previously collected data and will predict future observations. There is no such thing, though, as a correct hypothesis — there is only a workable hypothesis — one that provides the necessary guidance to act successfully. Where people get in trouble is when they stubbornly or subconsciously hold on to a premise or hypothesis that is not successfully predicting outcomes and then continue to act on that premise or hypothesis as if it was reliable. No belief is important enough to hold on to when it doesn’t align with verified observations. Such beliefs end up doing everyone more harm than good. Prior to checking this album, Between The Buttons, out of our local public library sometime around 1969, I had never heard anything by the Stones except what I heard on low-fidelity AM radio. I was surprised to find the consistency of quality songs on the album — and how appealing each track was. If you are looking to pick one of the two best Rolling Stones’ songs ever, “Ruby Tuesday” seems a must, with its dreamy, reflective, beautifully A minor melodic verse and the upbeat, celebratory verse (in the relative major key) — and “Let’s Spend the Night Together” deserves serious consideration. If this album contained nothing more, it would be worthwhile to have in one’s collection. 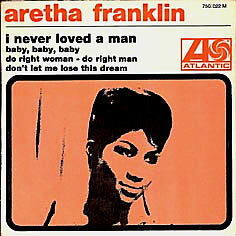 After these first three songs on side one, we get “Connection”, a solid, steady-beat rock song, “She Smiled Sweetly”, a sensitive ballad, and “Cool, Calm & Collected” with its ragtime-like piano-dominated verse (representing the successful, material-based elements of life) and it’s Indian-influenced chorus (representing the spiritual sentiment of “cool, calm, collected” that tag-team throughout the tune to its accelerating frenzy climax. If one starts with preconceptions, one goes for the easy answer. If one just works through this without jumping at the misleading “short cut” then one gets the correct answer. If one even checks their preconceived wrong answer, then they will soon have the right answer. The wrong answer of 10 cents for the ball doesn’t stand up as 10 cents for the ball, plus one dollar extra than the price of the ball for the bat at $1.10 sums up to $1.20. Add these 2 equations up and we get 2y – 2.10 or y = 1.05 so the bat is $1.05 and the ball is .05. Even if we don’t use algebra but try a few guesses, checking our guesses will eventually get us to the right number. But the way that life works for most of us, most of the time, is that we make assumptions and never ever check them, making decisions on top of bad assumptions. Bill is stalking Mary. Mary is stalking John. Bill is married, but John is not. Is a married person stalking an unmarried person? Once again, if we fall into the trap of lazy thinking, we may never work through this problem finding the right answer and end up agreeing with 80% of people that choose answer #3. It really doesn’t matter that we don’t know Mary’s marital status. If she is single, it is then Bill, the married person, that is looking at an unmarried person, and if she is married, then Mary is the married person looking at an unmarried person. We rarely object to an instance of a person saying “that’s my spouse” (“that’s my wife”, “that’s my husband”) or “that’s my child.” And so, it’s no issue to say “that’s my dog” or “that’s my cat.” But we would object to saying “I am the owner of this husband” or “I am the owner of this child.” Should we also object to one saying “I am this dog’s owner.” Does one own the dog or is it a partnership? If the dog runs away, the “owner” can get the pet back. The “owner” can decide to trade the dog for money or put the dog to sleep. In ancient Greece and in 19th century America, people owned other people, and could trade them and even put them to death. The people in the past re-examined ownership of people and determined this was unacceptable in any way, shape or form. Should we examine our relationships with our pets, or just accept our preconceptions and continue on. Preconceptions are the most troublesome when we don’t know about them. In doing data analysis it’s the bad data that we don’t know about the messes up the results. Any belief that one doesn’t examine for its accuracy (maybe not examined as one isn’t aware of the belief or thinks it is correct) will influence one’s final decisions and analyses, often making actions based on such decisions and analysis worse than random actions. Anchor prices are used to take advantage of our tendency to lock on to the earliest data we have about something and to subconsciously put more weight or more credence in the earlier or earliest obtained data than later data, even though analytically we often chose to prefer more recent data over older data. Take the time to examine what data is used to make an important decision and challenge the validity of that data. By identifying the bad data or erroneous preconceptions and not using them to base a decision on, one can significantly increase their likelihood of acting appropriately.